I know that for me, wrinkles and smile lines will be inevitable. I mean, I usually spend half of my day laughing and creasing up my face so I know that I will be nice and wrinkly in the years to come, but my theory is that prevention is better than cure and so I have made it my mission to slow down the 'ageing process' (lol) at the tender age of 22. I have devised a solid skincare regime which has been in the works over the past few years in order to look after my skin and make it beautiful on the inside and out. I never really thought about incorporating an eye cream into my skincare until one birthday I woke up with fine lines under my eyes- this is no joke. After freaking out (and finding a grey hair under my chin- wtf?!) I decided the best course of action was to get onto the under eye care bandwagon and I haven't looked back since. Today I want to share with you my three favourite under eye creams to date. 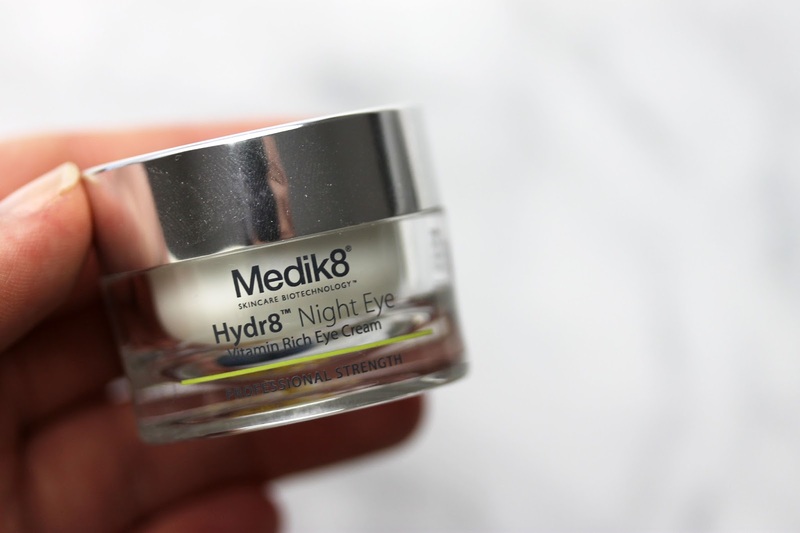 This anti-fatigue moisturising eye cream boasts both anti-ageing and anti-puffiness properties and I can confirm that this is true. Scented with the same scent as their fabulous Huile Prodigieuse Dry Oil, I use this morning and night and find that my under eye area looks hydrated and brighter, which in turn makes me look much more awake and alert, especially on a Monday morning. I also find that it really helps soften the bags under my eyes, particularly after a cheeky night out. A rich and fast absorbing eye cream which is designed to hydrate and help rejuvenate skin around the eye area, this is fast becoming a firm favourite in my skincare regime. It also contains Vitamin A (retinol) which helps reduce the appearance of fine lines and wrinkles. At first when I started using this product I actually found it hard to notice a difference straight away. However, it is one of those products that when used over a period of time, vastly improves your skin and I have noticed this in both the hydrating of my under eye area and softening of those dreaded fine lines. 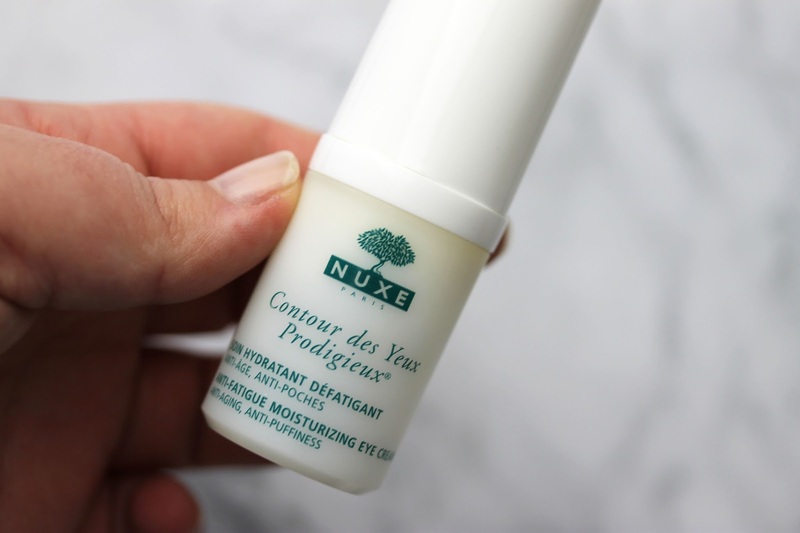 This eye gel is definitely not a new player on my blog but I do have to give it a special mention because I still absolutely love it. Unlike the previous two eye creams I have mentioned, Puff Off is more of a quick fix for your under eye area. It's effects are pretty much instantaneous, but they don't hold up in the long run. However, it is a great product for on the go and can be used over makeup throughout the day. I know, I sound like an absolute madwoman. Let me make it clear that I'm not scared to age or wrinkle, but I'm really just trying to find and go about the best way to look after my skin from as early on as possible. I always try to stress the importance of having a good skincare regime, even if it's just remembering to take off your makeup before bed and to moisturise, but honestly my friends all think I'm a bit nuts. What are your thought on fine lines and ageing? At what age did you start your skincare regime and do you include eye cream as a preventative? I started using eye cream when I was 22 and I'm so glad I did! Great post! I'm so bad at remembering to put on some eye cream. I'm not afraid of aging as well, but I do think that if you take proper care of your skin now, it'll benefit you greatly in the long run! Lovely post! This was my reminder to throw on some eye cream tonight, haha! I am with you on using eye cream, I started using one when I was in my very early 20s and never stopped since. I swear it's the main reason why I have little lines under my eyes despite I am close to being 40. Your skin is amazing Shireen, I'll take that as my motivation to keep using eye cream! All three sound great, though I had no idea Puff Off could be applied over makeup (great for when on-the-go!). Hmm, this has been exactly what I need; although I take good care of my skin, I've been massively neglecting my eyes. Time to pick up a great eye cream, thanks heaps for the reminder!! Haha I definitely know the feeling Madison, glad you enjoyed the post! I don't wear eye cream on a daily basis, but I've always wanted to try one out. I've looked at the Origins GinZing eye cream, but never buy it. These look awesome, though! Ooh, I've heard the Origins one is supposed to be amazing too! Yep I agree Ela, I definitely can't skip this step in my skincare routine now! I totally agree, prevention is the best cure. Similar to you, I also started using eye cream after noticing some fine lines under my eyes one day. My favourite has been the Kiehls Creamy Avocado Eye cream, but these also sound nice. Ooh, I love the sound of the Kiehls Eye Cream- I think it would be super hydrating! I use my eye cream every night and every morning, and I love it! Now I can't imagine not using it. I need to try some of these! I've heard Kiehls has a really good one. I begun using eye cream a little bit before I hit 20s but you are right, better early than having wrinkles. They are such great products! They say prevention is better than cure so I'm getting right on top of it now! Repairs the skin while preventing further damage. These creams normally contain alpha-hydroxy acid or retinol, sometimes even both. They are great for reducing wrinkles.